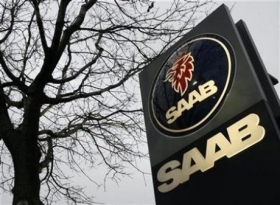 General Motors Co. is continuing to wind down Saab and does not plan to make further announcements regarding the brand’s sale, a spokesman said today. Spyker said its bid expired at 5 p.m. Monday. CEO Victor Muller then extended the deadline, saying the company’s talks with GM were open-ended and triggering speculation about an announcement. The Saab wind down is expected to take several months. GM’s John Smith, vice president of corporate planning and alliances, had said it was possible that GM might entertain inquiries about Saab at any time during the wind-down process. Saab's U.S. sales fell 61 percent in the United States through November, to 7,812 units, meaning this year will be the lowest total under 20 years of GM ownership. GM's peak for Saab was 47,914 vehicle sales in 2003. The company's U.S. high was 48,181 in 1986. Nationally, Saab had 2,100 vehicles in U.S. inventory as of Dec. 1 -- a 130-day supply. The brand sold just 371 units in November.